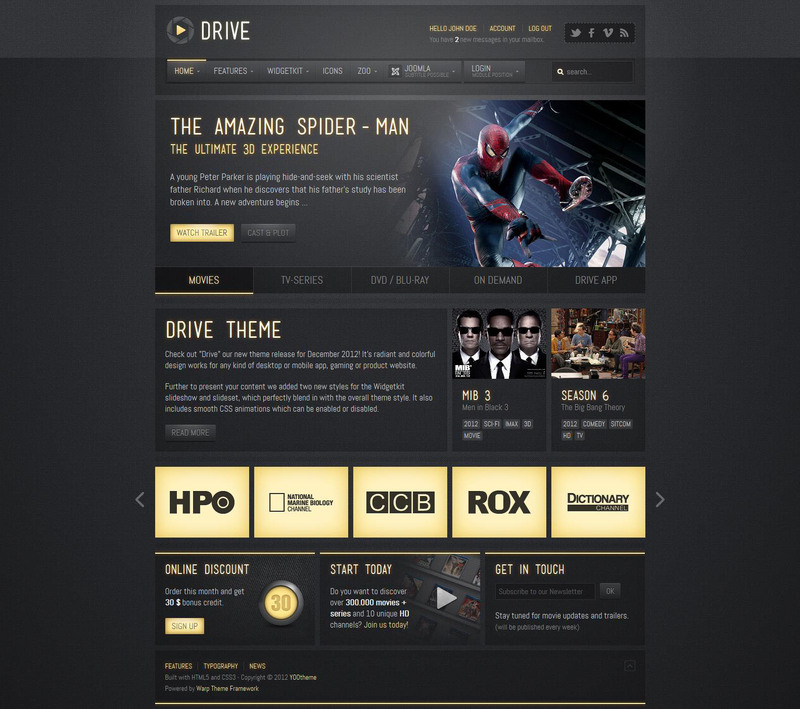 YT Drive - December magnificent template Joomla 3.0 with support from the design studio YooTheme. Stylish and colorful design template with a set of fine background images will look great on a variety of tablet and mobile devices. In addition, the developers have created two additional style for the component WidgetKit, which perfectly fit the design of the site. The template applies CSS animation effects that add subtle effects on mouse over menus and buttons. Adaptive function template provided by the use of functional platform Warp6, using all possibilities of modern technologies HTML5 and CSS3. This template contains 8 preset styles, 7 background textures, 13 font types and 3 modular style.